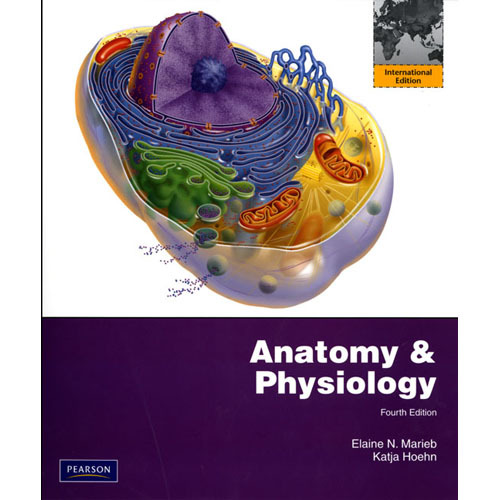 Anatomy & Physiology, Third Edition answers the demand for a leaner version of Elaine Marieb and Katja Hoehn's Human Anatomy & Physiology with less in-depth coverage of pregnancy, heredity, and the developmental aspects of various body systems, while keeping basic themes such as homeostatic imbalances strategically in place. This revised edition includes major updates to the content and figures based on current research findings. The text’s all new muscle art features more realistic, natural looking colors and textures, and its new "Check Your Understanding" questions follow major sections within each chapter and serve to reinforce and test students’ understanding of the major concepts of the section. Elaine Marieb's instinct for providing colorful, dynamic explication of body-system anatomy & physiology creates a focused presentation of basic principles. For this new edition, Dr. Marieb has teamed up with co-author Katja Hoehn to produce this exciting text featuring extensive art development, text revisions, and thoroughly updated supplements and media resources. 1. The Human Body: An Orientation. 3. Cells: The Living Units. 4. Tissues: The Living Fabric. 6. Bones and Skeletal Tissues. 9. Muscles and Muscle Tissue. 11. Fundamentals of the Nervous System and Nervous Tissue. 12. The Central Nervous System. 13. The Peripheral Nervous System and Reflex Activity. 14. The Autonomic Nervous System. 17. The Cardiovascular System: The Heart. 18. The Cardiovascular System: Blood Vessels. 20. The Immune System: Innate and Adaptive Body Defenses. 23. Nutrition, Metabolism, and Body Temperature Regulation. 25. Fluid, Electrolyte, and Acid-Base Balance.